tags: The righteous. The ruthless. Everyone wants to play. Sartaj Singh, a Mumbai police officer, receives an anonymous phone call from a gangster who threatens to blow up the entire city. Amid the corrupt standards of Indian law enforcement begins a battle between a 'nobody' cop and ruthless gangster who perceives (sometimes) himself to be a God. A link in their pasts leads an honest cop to a fugitive gang boss, whose cryptic warning spurs the officer on a quest to save Mumbai from cataclysm. Story line is little bit confusing but awesome creation. Nawaz and Rajshri deshpande are superb in every way. Specially nawaz bhai.......Sunny pawar nailed it as small gaitonde. Such a great acting skill he has. No doubt. Radhika apte, Neeraj Kabi and Jitendra joshi again superb but other star cast are not so influencial. Saif ali khan is not suitable for this type of role. Vicky kaushal would have been great choice for this. he has tried to do his best but cant beat nawaz in any manner. Other star cast which have very small role like the prostitute in first seen for moaning scene, she has done very well. Thats called the quality of acting and imagination. Overall best series. waiting for second one. 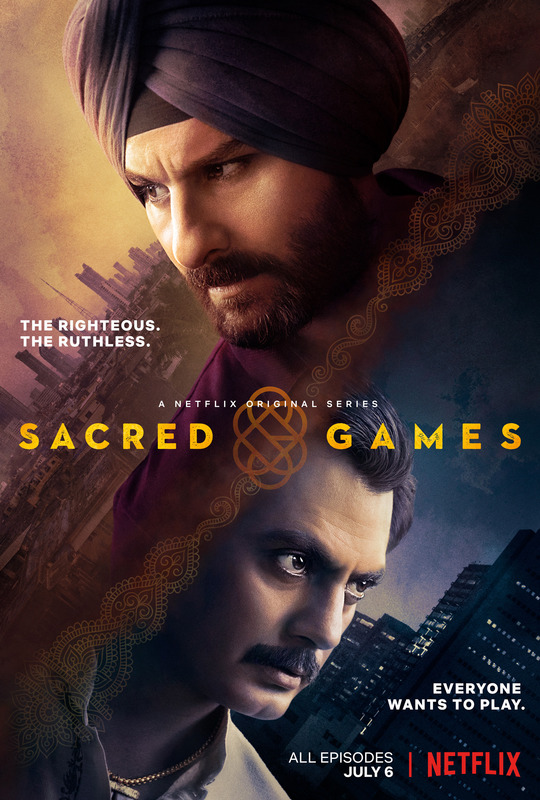 IN Indian Cinema and TV space , there is not a single better thing than Sacred Games ..The Story ..Varun Grover ..Hatts off Sir ..The Acting ..Just too much wow ..with every episode the characters grow on you -Amazing Amazing Amazing --It gives you that feel to watch all episode in single sitting.